Cadbury are launching a white Creme Egg hunt and you can win £10,000 if you find one. After days of eating nothing but chocolate, alcohol, and cheese over the festive period, many people – including myself – will undoubtedly head into the new year with the promise they’ll eat healthier. But by offering money as a prize for eating chocolate, Cadbury are about to slash any hopes I might have of fulfilling the healthy new year’s resolution. To be fair, I’m all too willing to use their competition as an excuse to give up after a painful, chocolate-free two days. The company are launching 783 white Creme Eggs, which will be concealed beneath ordinary wrappers, lying in wait for a few lucky people to find them and be in with a chance of winning one of the eight huge £10,000 rewards. 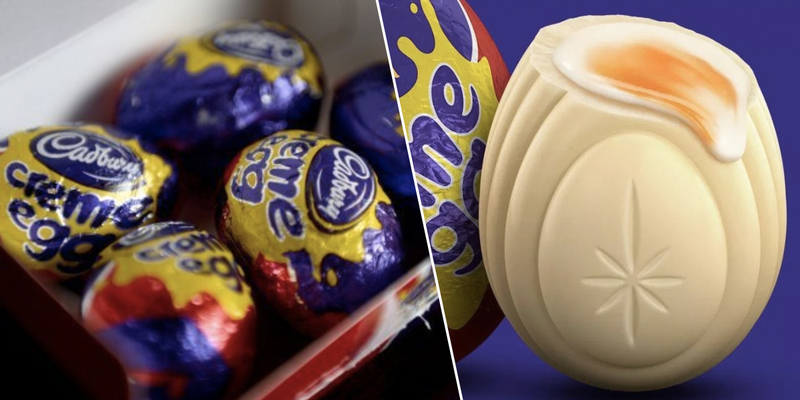 Even if your egg isn’t worth the grand prize of £10,000, each and every white chocolate Creme Egg will be worth some amount of money, with £50, £100, and £1,000 prizes also up for grabs, according to The Sun. The hunt begins on January 14, so be prepared to stock up on as many of the sweet treats as you can, and just hope you’ve managed to snag one of the special white ones! If not, at least you’ve still got a big collection of Creme Eggs to eat. It’s a win-win, really. Cadbury has stepped up its game this year by increasing the top prize from £2,000 to £10,000, so it’ll probably be worth splashing out on a few extra eggs to be in with a shot of winning. Only a few dozen white eggs will be up for grabs each week, and they can be found in Asda, Morrisons, Tesco, Co-op, Sainsbury’s, M&S, One Stop shops and some independent retailers. 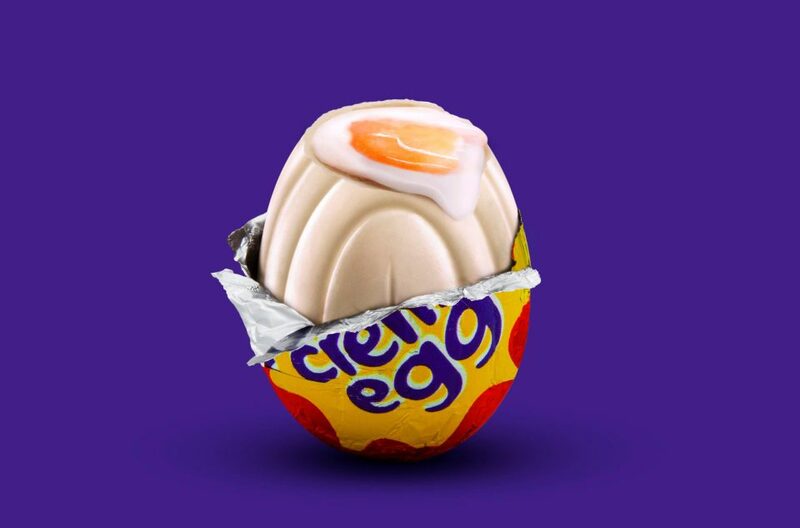 Thankfully, if you’re one of the lucky few to uncover a white egg you don’t have to worry about missing out on your chocolate craving, as you only have to keep hold of the wrapper to claim your prize. Although, it wouldn’t be the end of the world if you couldn’t eat the egg when you’re going to win some money just for having it. At around 58p each, even the lower £50 prize could buy you almost a hundred of the chocolate treats. If you’ve got a lot of time to spare, you could even adopt a savvier way of searching for a white egg by checking the product’s ingredients, which will reveal if the egg is white or milk chocolate – but I think that’s just cheating. As well as concealing the winning eggs among regular chocolate ones, Cadbury will be hiding pictures of Creme Eggs in adverts on television – but not necessarily their own adverts. According to The Sun, the pictures could appear in adverts for other brands, and in order to be in with a chance of winning a prize, you have to snap a picture and send it to Cadbury. This is where that nifty pause feature on some televisions comes in handy! If you spot one of the pictures on TV, you’re guaranteed to win a voucher for a milk chocolate Creme Egg. Or if you’re really lucky, you could even receive a white chocolate one in the post.